We're pleased to announce several new products available today that make it easier than ever for Juiced.GS readers to complete their collections. 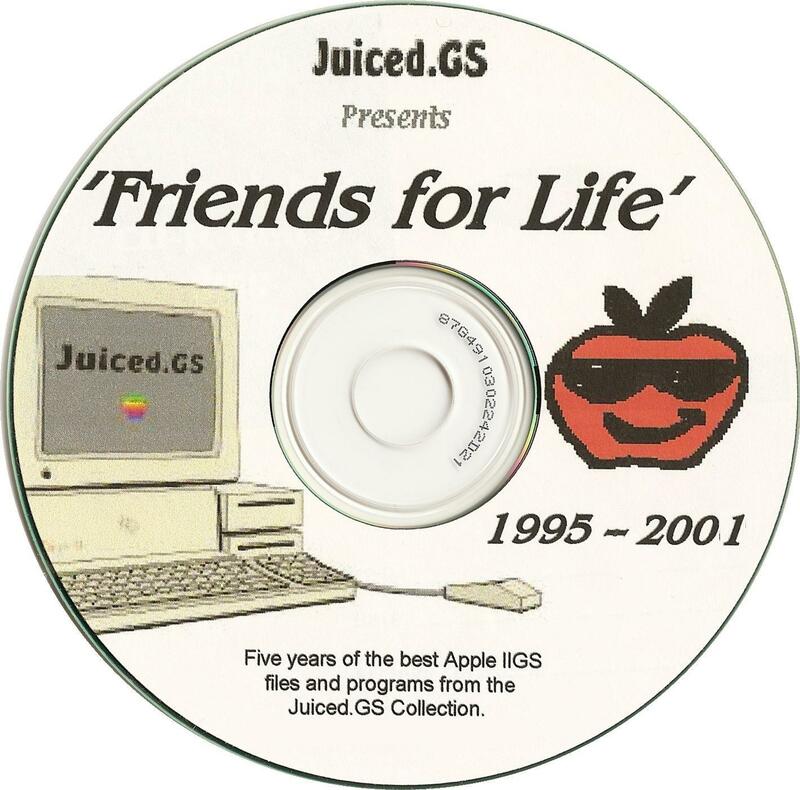 The Friends for Life CDs, previously available from Syndicomm, are once again available from Juiced.GS's publisher. FFL contains all the software that was originally distributed on the Shareware Spotlight disks that shipped with each of the magazine's first 24 issues (1995–2001). Those six volumes of issues are also included on the CD as scanned GIFs. Friends For Life, which previously sold as two discs for $45, is now available as a single disc for $35. If it's your collection of print issues that needs completion, you can now purchase all 32 hardcopy issues from volumes 7 through 14 (2002–2009) in a single bundle at a 14% savings off buying them individually. You can also get both of the above products — all our print issues and the Friends for Life disc — in a single comprehensive bundle. That's every issue of Juiced.GS published 1995 through 2009 at 25% off! If only specific topics from our exhaustive library interest you, the thematic Concentrate PDFs fit the bill. 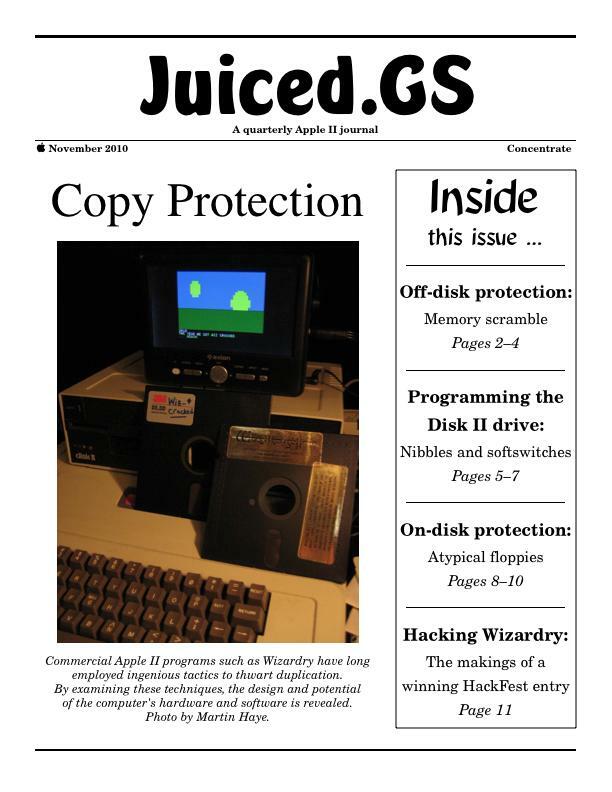 Released today is our fourth issue, covering copy protection. In this three-part series originally published in 2008, Antoine Vignau of Brutal Deluxe dissects the hardware and software techniques that make certain disks so challenging to preserve. As a bonus, Martin Haye's walkthrough of his recent winning HackFest entry, a crack of Wizardry, is included. Still not sure what to think? Download an updated sample issue PDF for free to read our coverage of KansasFest 2009, an interview with Apple R&D founding member Bob Bishop, and a review of the MicroDrive/Turbo interface card.